WHAT IS A POTENTIAL MASTER PLAN? 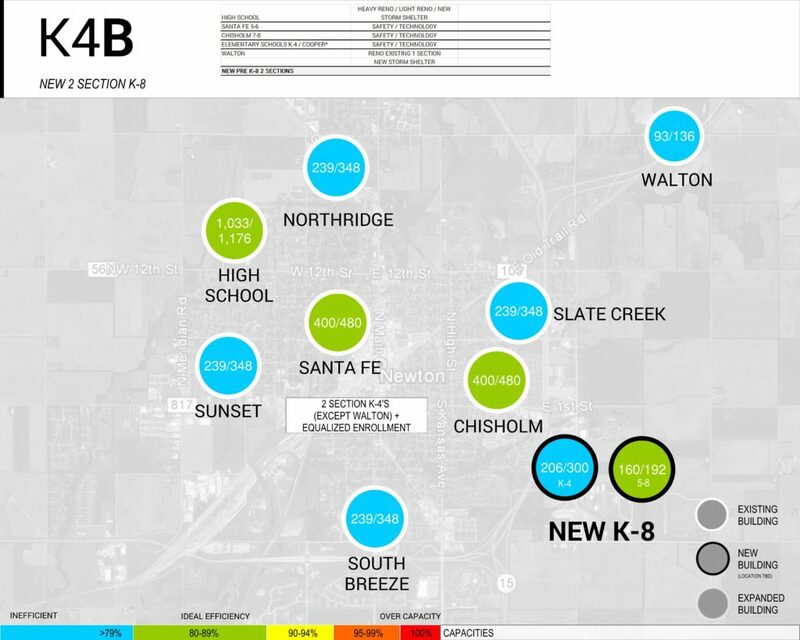 DLR Group and Gravity Works performed a series of hypothetical master planning scenarios that would attempt to address enrollment and current school capacities. 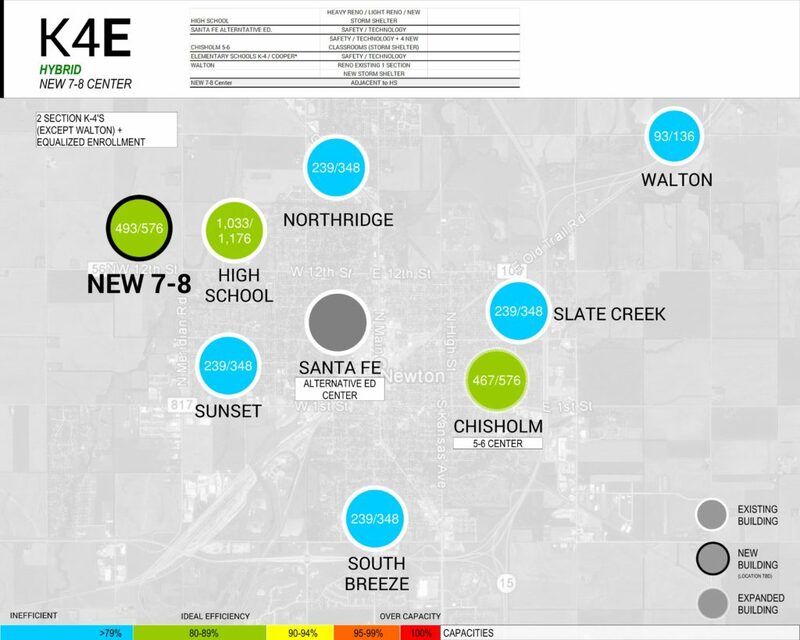 The colored dots represent student count / school capacity.